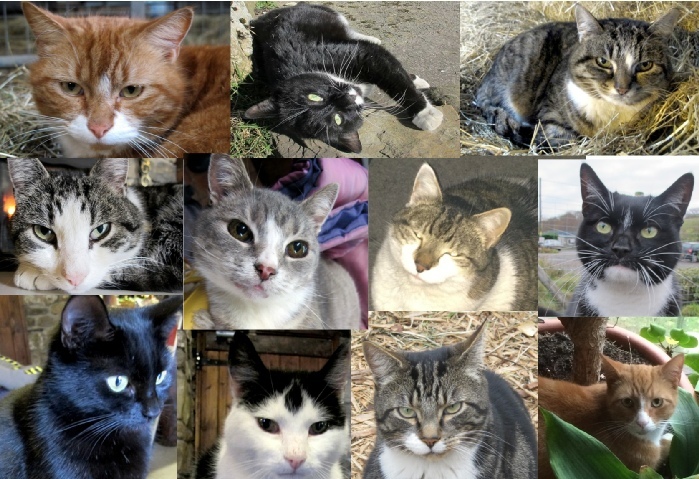 At Wales Ape & Monkey Sanctuary we have many cats roaming freely within the grounds and you will also find them in the shop making themselves known to visitors “CHEEKY LOT HERE” All have been rescued within the UK. The group of words associated with cat (catt, cath, chat, katze) stem from the Latin catus, meaning domestic cat, as opposed to feles, or wild cat. We are eternally grateful to all those kind people who help us to care for the animals in our sanctuary. Donations from the public, businesses and other organisations are vital to our continued survival and any contribution or other form of support is greatly appreciated. Here are some of the characters that you will see on your visit to the Wales Ape and Monkey Sanctuary. Click here to read about Felix, Patch, Ellie, Napoleon and their friends at the Sanctuary.